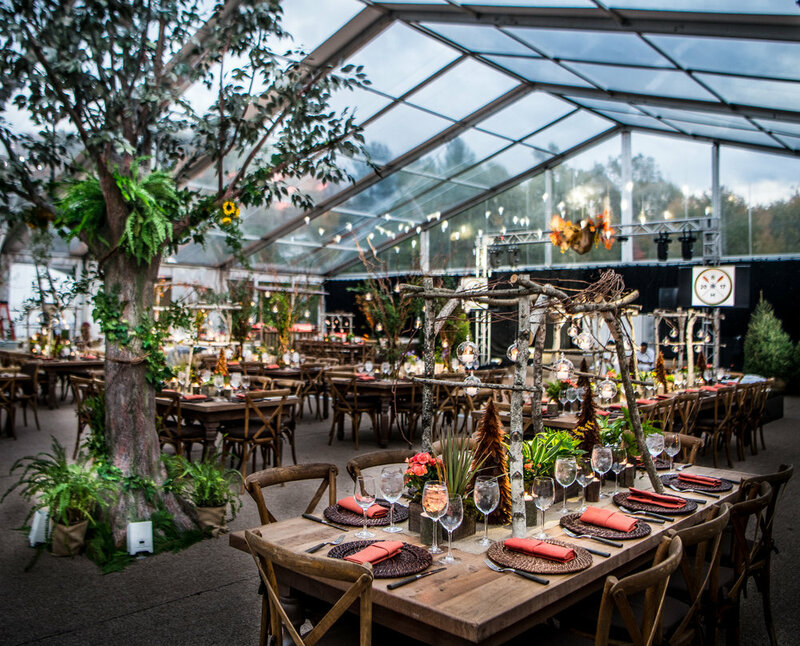 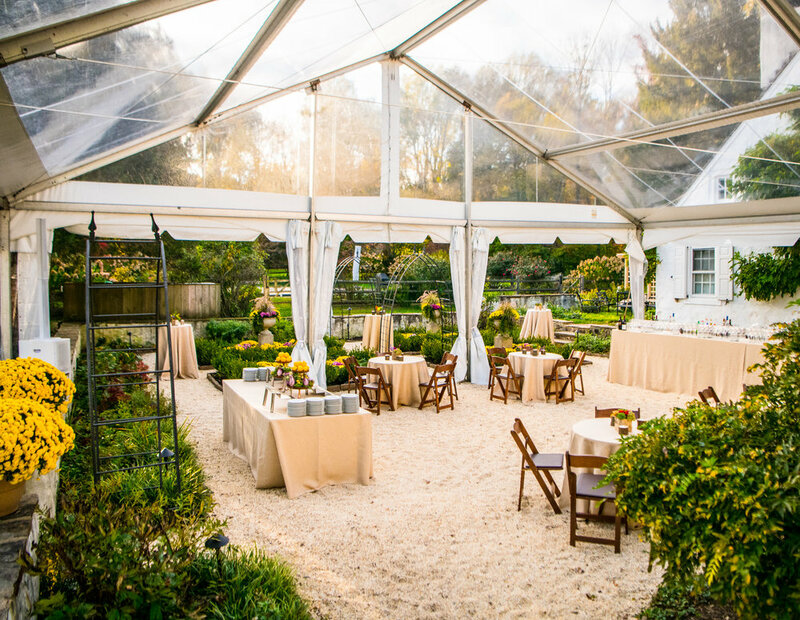 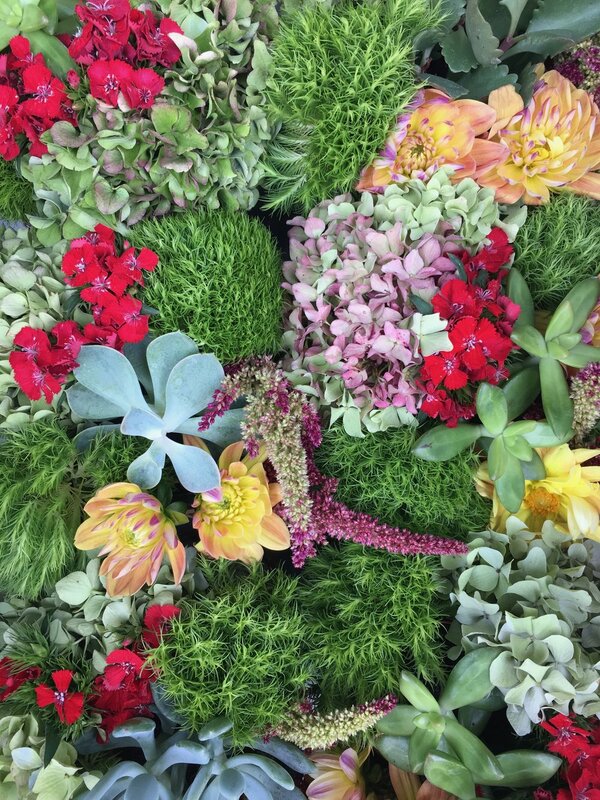 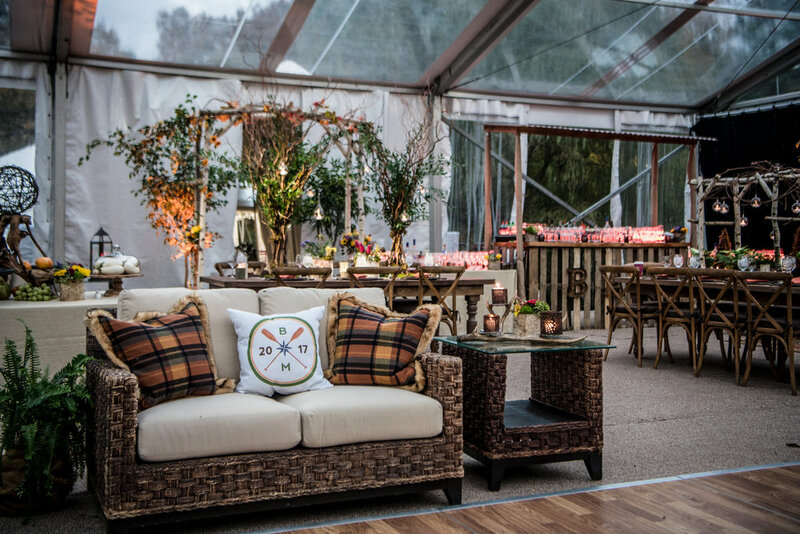 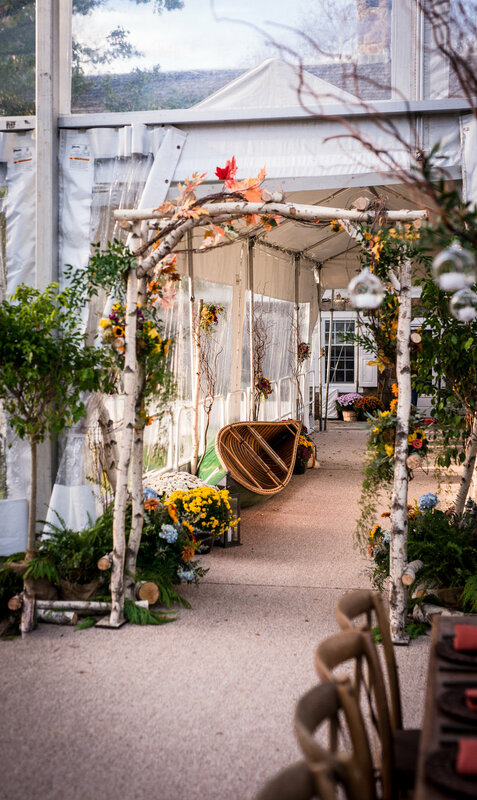 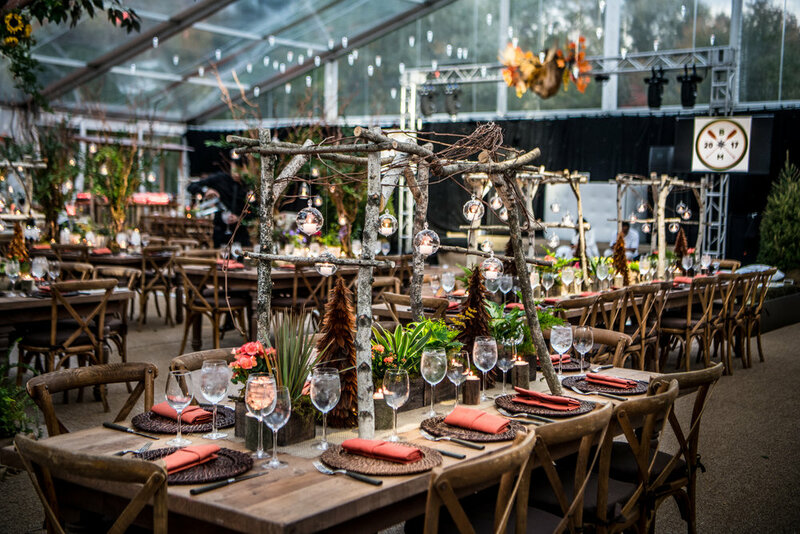 We brought all of the warmth and magic of the great outdoors inside for this elegant and rustic tented event. 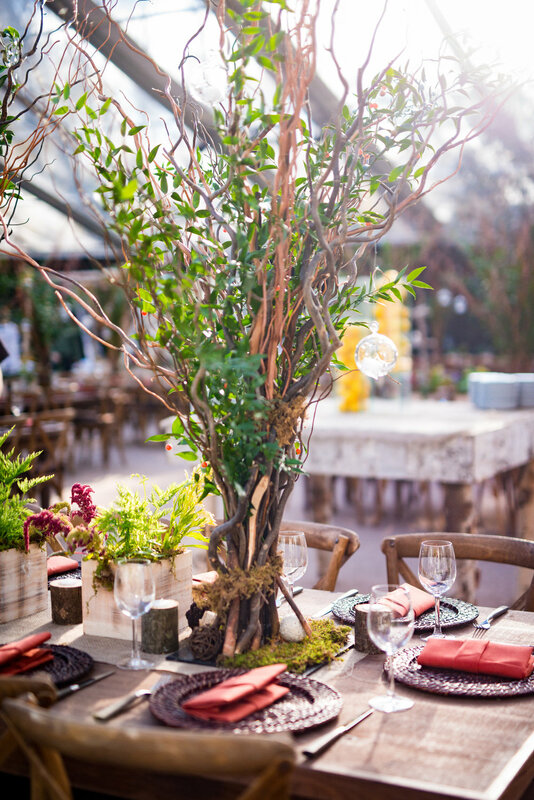 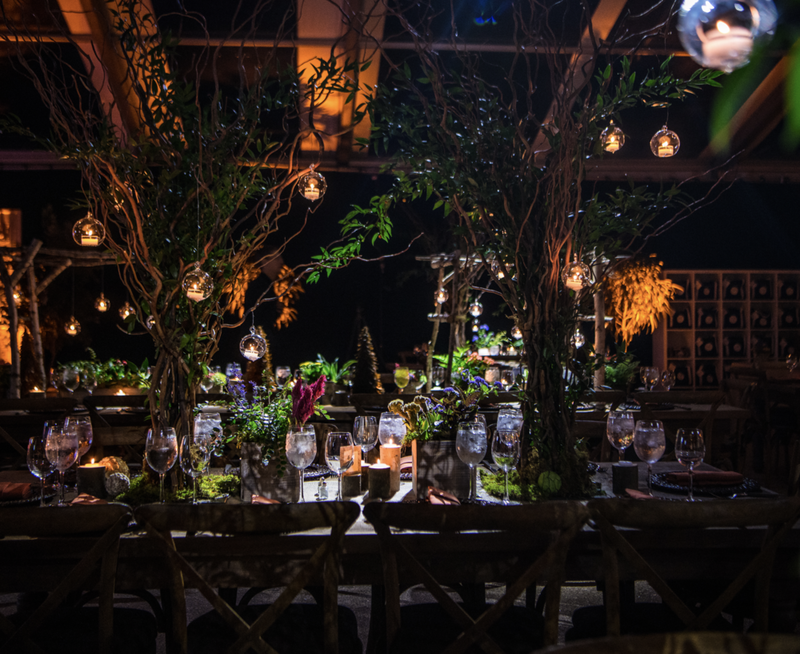 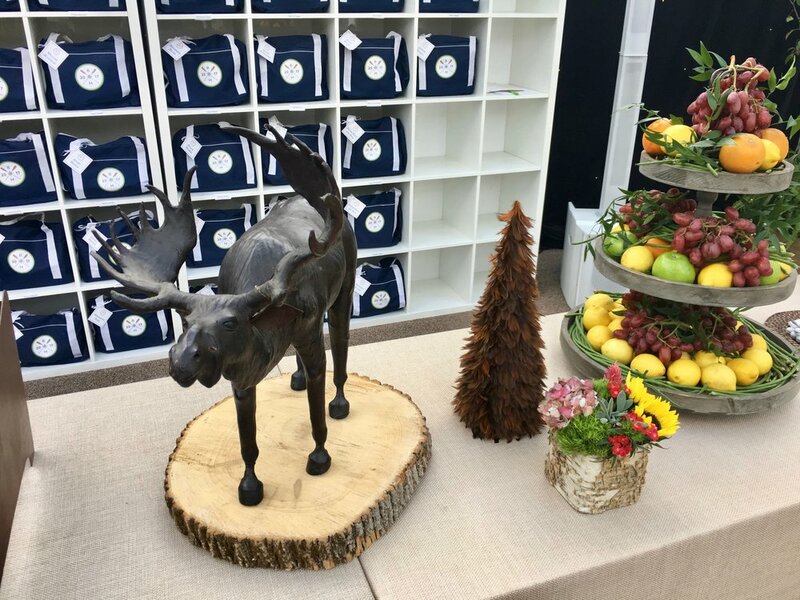 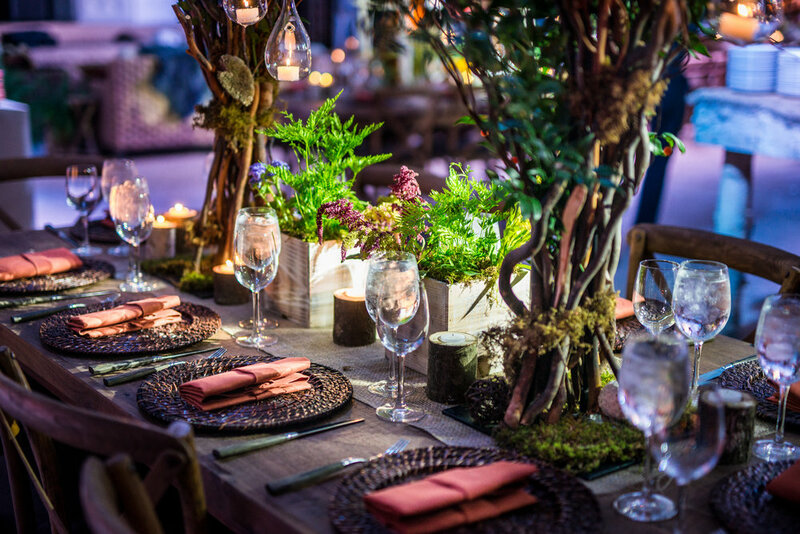 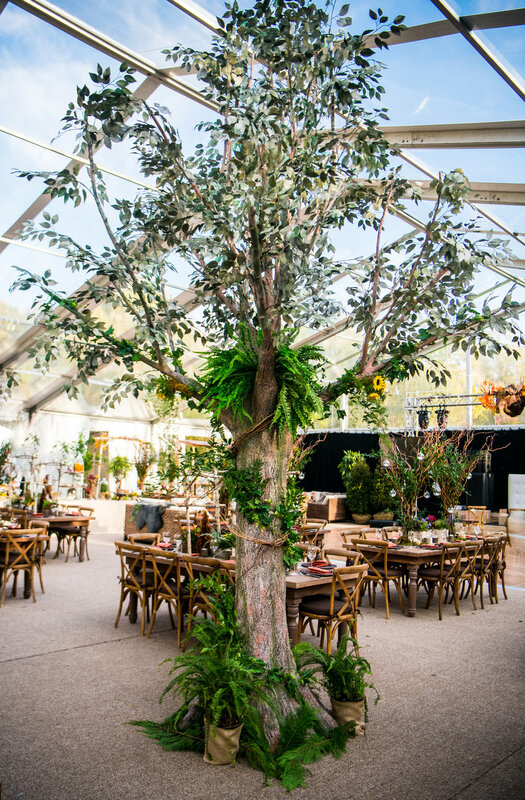 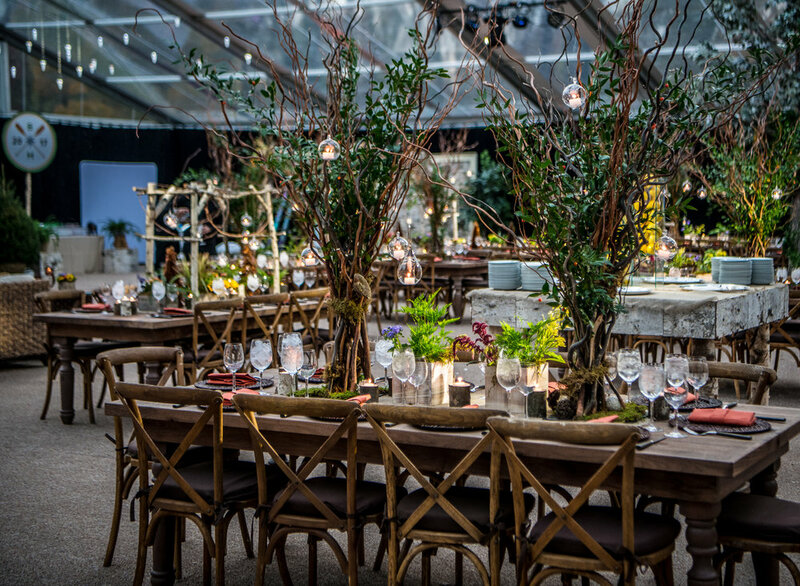 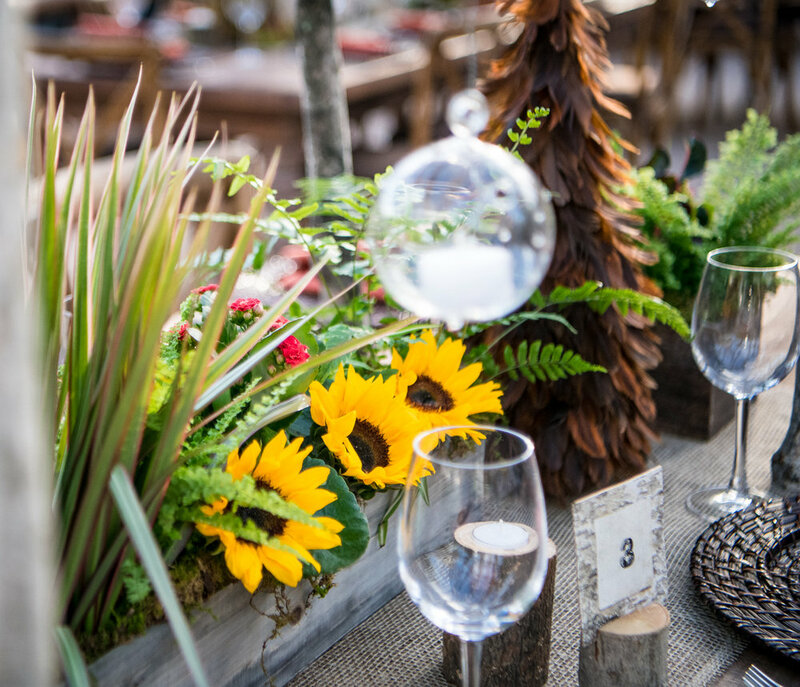 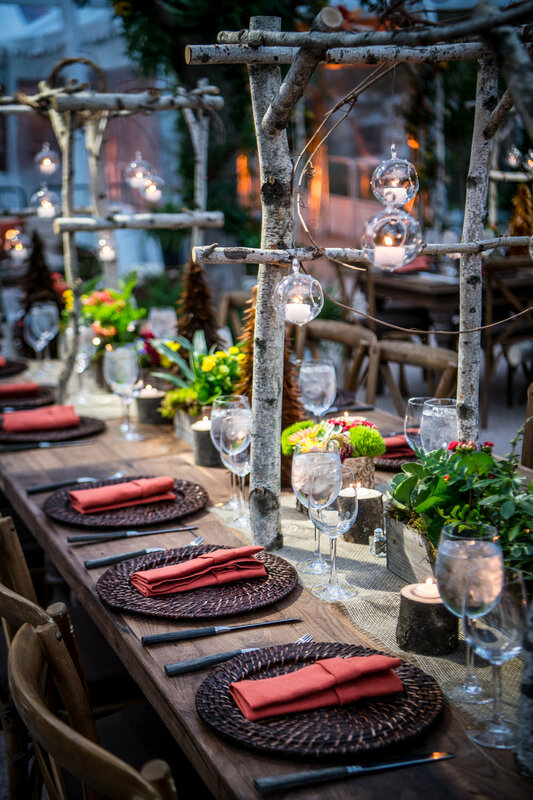 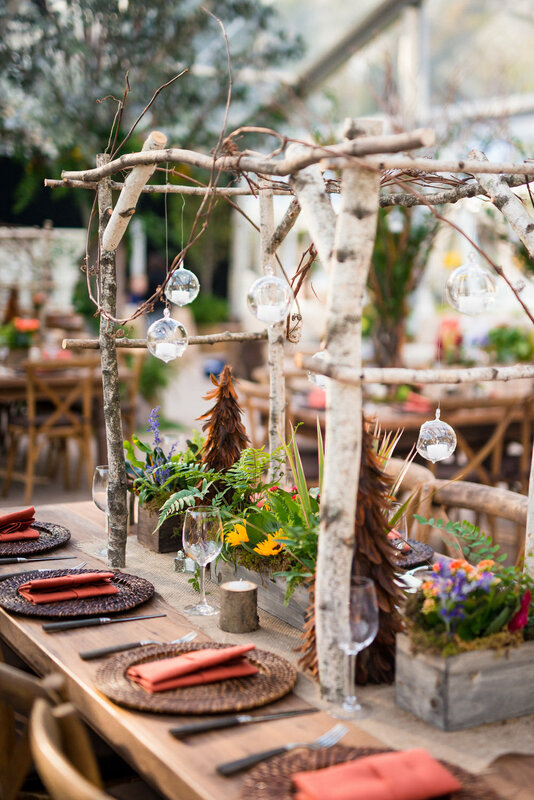 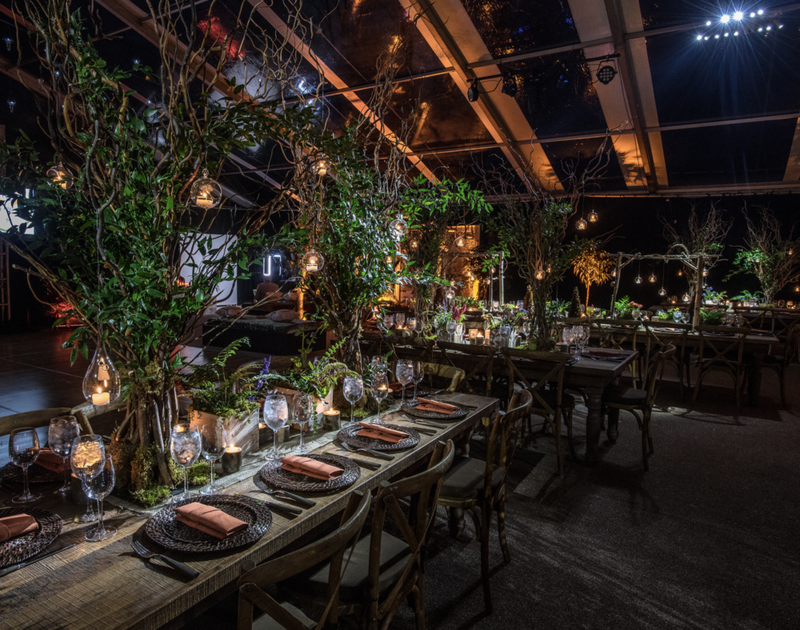 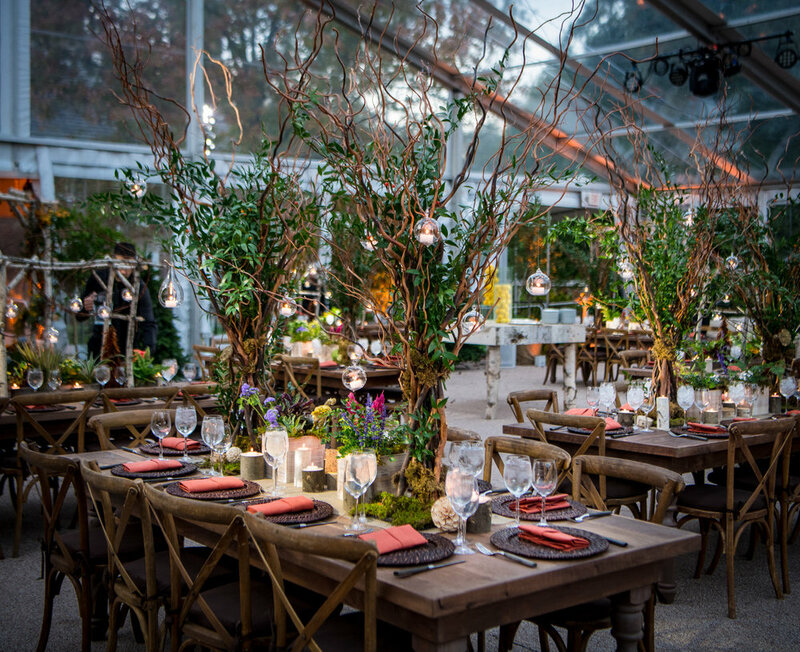 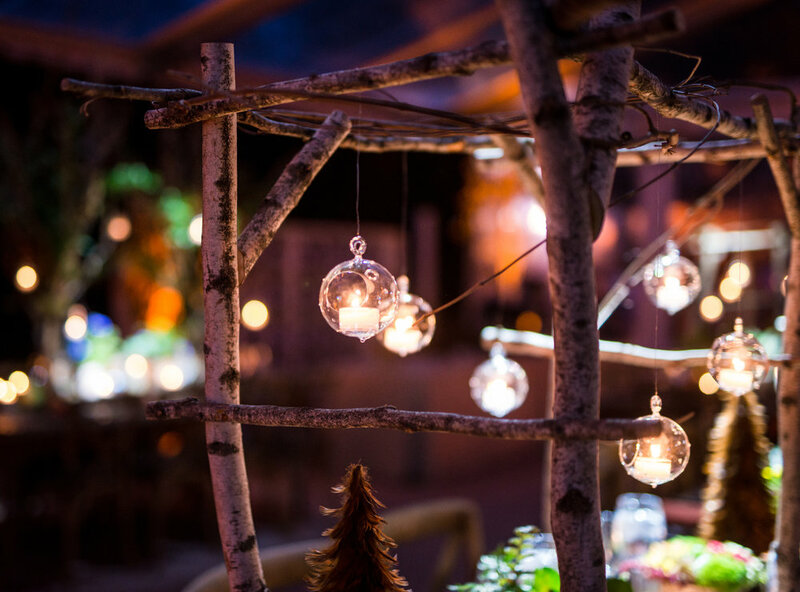 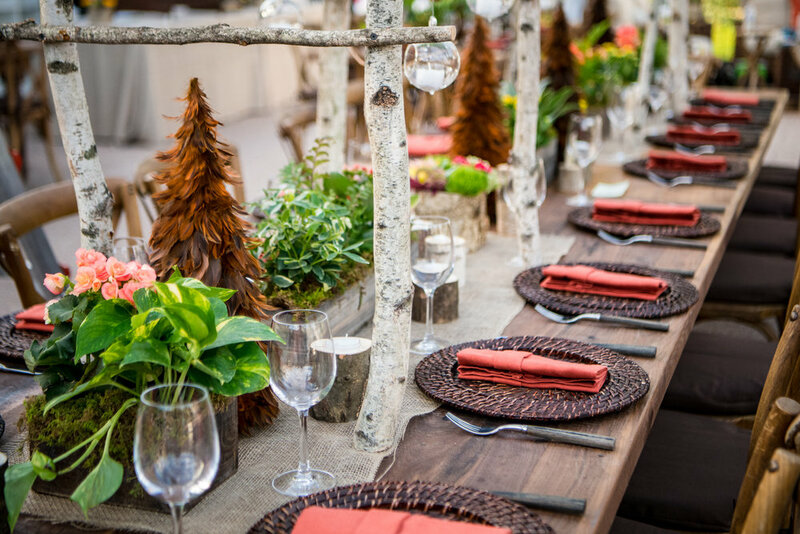 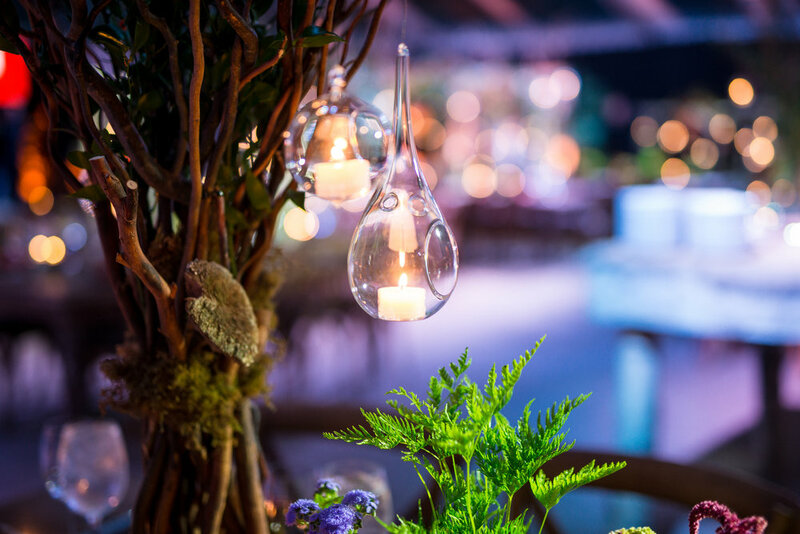 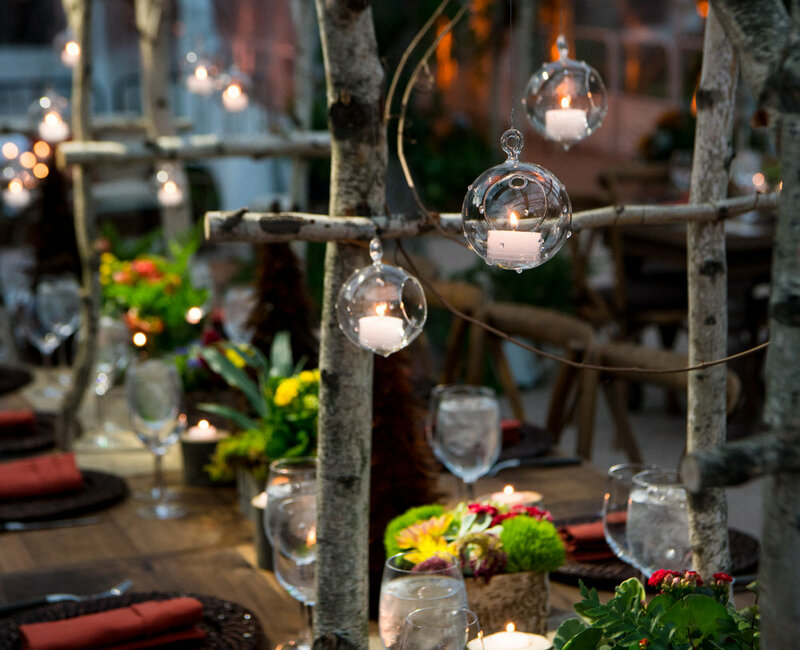 Farm tables were transformed into detailed tablescapes with custom built birch arbors, willow branch sculptures, mixed foliage centerpieces, and whimsical candlelight. 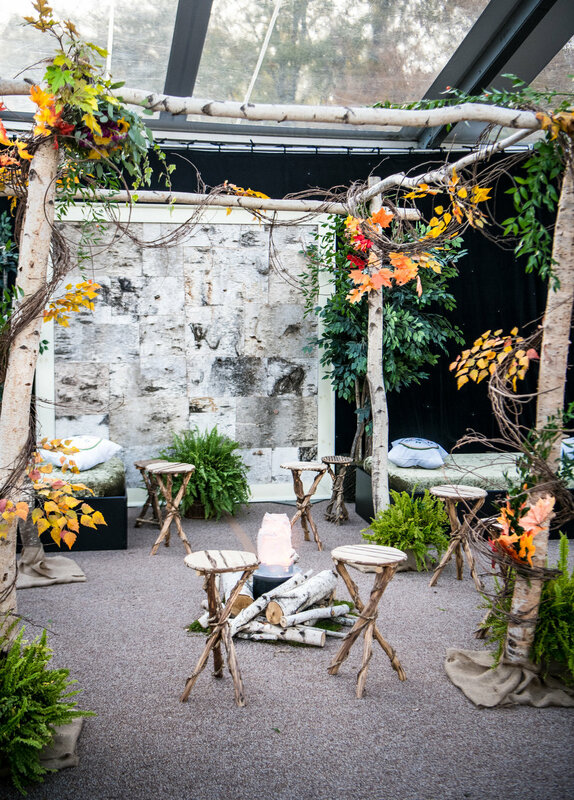 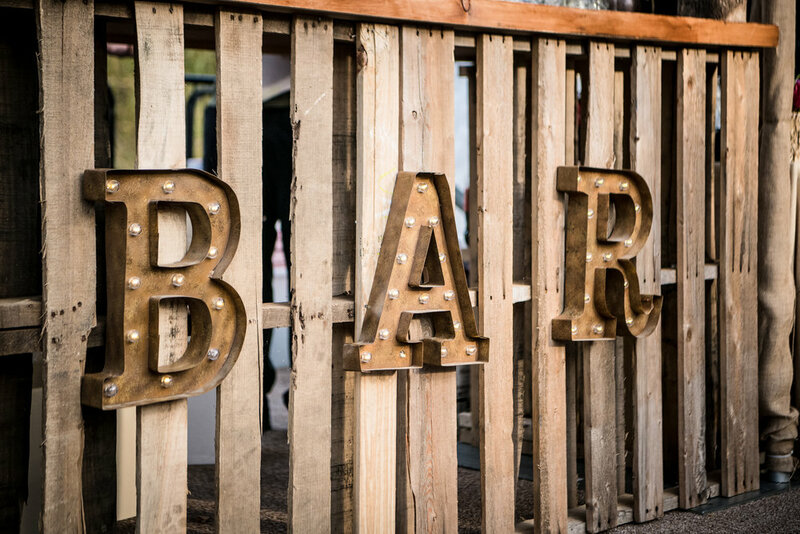 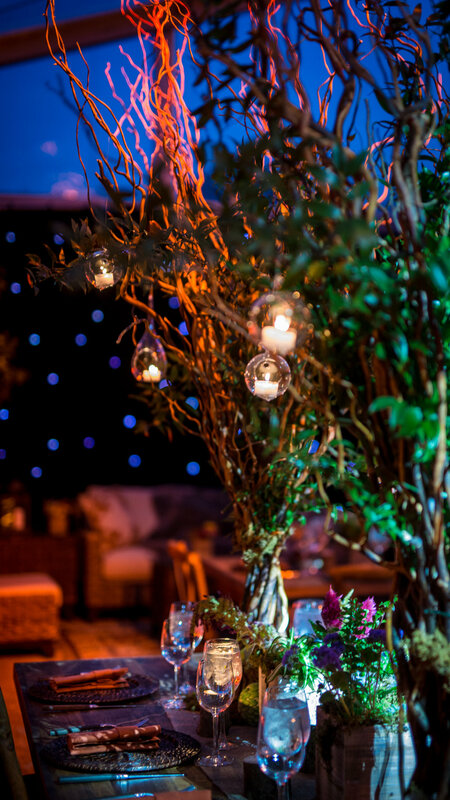 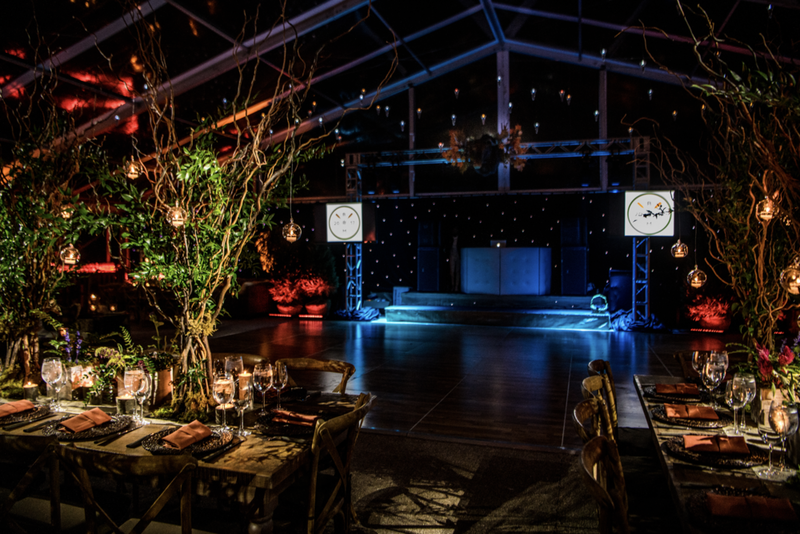 Features of the night included a campfire surround for young guests, a bespoke rustic bar for adults, birch wood backdrops and archways, as well as custom props and pillows and a dramatic lighting installation above the dance floor.